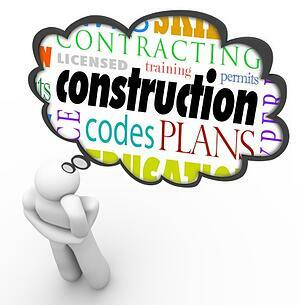 Every state and region has their own land use and zoning rules and regulations that can make getting your project through the legal system. If regulatory hurdles are standing in the way of progress or the use of your own property, it may be time to consult with a firm that is seasoned in both the legal issues as well as business litigation if needed. The right attorney can provide the seasoned legal advocacy to remove those barriers and keep projects moving. It also is wise to have professional legal representation as a residential and commercial property owner if you find yourself in land use litigation and property disputes, including eminent domain, prescriptive easements, adverse possession, boundary disputes, title disputes and liens, nuisance, incompatible use and related matters. If you find yourself in need of professional counsel, our established law firm provides comprehensive counsel in land use and zoning law to developers, builders, homeowners and businesses in northern and eastern New Jersey. We are also skilled in business litigation if that is needed. We invite you to contact us today, whether you are in the planning stages or at an impasse with local government officials. Since 1972, the firm of Scura, Wigfield, Heyer & Stevens, LLP, has served landowners and developers in Passaic, Bergen, Hudson, Union, Essex, Middlesex and surrounding counties of New Jersey. We have counseled clients on the full spectrum from compliance with local building codes and permit requirements to challenging ordinances and obtaining planning approvals for major commercial projects and housing tracts. To arrange a consultation with one of our knowledgeable land use lawyers, call 973-870-0434 or contact us online.